During the celebration of IEEE EDUCON, the flagship conference of the IEEE Education Society, Daniel Burgos, director of Research Institute for Innovation & Technology in Education (UNIR iTED) will present the study “Exploring intercultural learning through a blended course about open education practices across the Mediterranean” based on the experience of the OpenMed Project. The presentation is inscribed on the Active Learning, Active Methodologies workshops session. 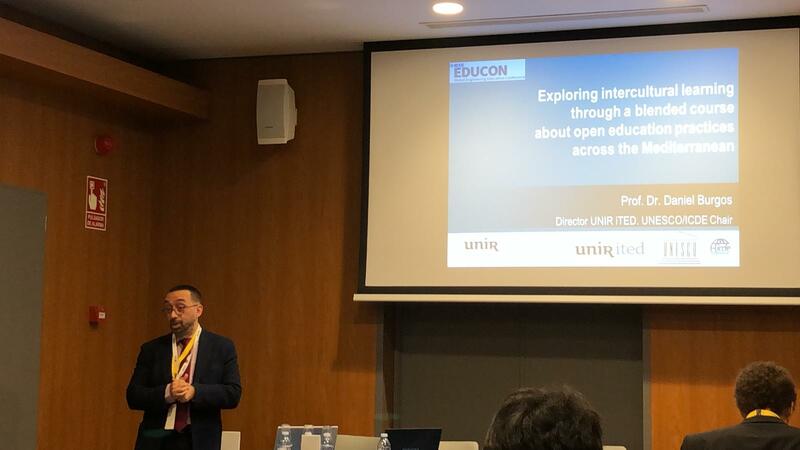 The presentation reflects upon the training course organized by the OpenMed Project (with the collaboration of partners in Spain, Italy, United Kingdom, Egypt, Jordan, Lebanon, Morocco and Palestine), aimed at building capacity in Open Educational Resources (OER) and Open Education approaches across universities from the South Mediterranean. The course, which is currently being piloted among 10 universities, represents an example of an intercultural and multilingual learning experience, from the way in which it was conceived and developed, to the way it is actually being delivered. In this paper, we reflecto n the challenges and benefits of adopting such an open approach towards intercultural learning. To see the Abstract Book, click here [OpenMed at pag.72]. * The IEEE Global Engineering Education Conference (EDUCON) 2018 is the ninth in a series of conferences that rotate among central locations in IEEE Region 8 (Europe, Middle East and North Africa). The theme addressed this year was “Emerging Trends and Challenges of Engineering Education”. 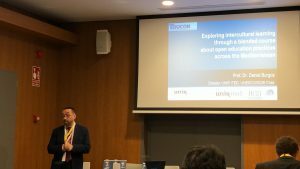 In the frame of this theme, a paper was presented and accepted on the OpenMed experience in designing and testing a blended course on Open Educational Resources and Open Education practices with special focus on the intercultural implications of such an experience.